Amid seemingly endless special sessions, foot-dragging on the state’s fiscal crisis that’s pushed the state near shutdown multiple times and cuts to the Alaska Permanent Fund dividend, it turns out the Legislature isn’t all that popular with voters. Only 25 percent of Alaska voters say they approve of the job the Alaska Legislature is doing, according to a poll provided to The Midnight Sun, coming in well behind the independent Gov. Bill Walker’s approval rating. A whopping 68 percent of voters said they either somewhat or strongly disapproved of the Alaska Legislature. The survey of 603 Alaska voters was conducted between April 25 and May 1 by Paul Harstad’s Harstad Strategic Research Inc. (which got a B+ from FiveThirtyEight’s 2016 pollster rating). The results are part of a larger polling effort on the Government Accountability Act initiative, which Midnight Sun Publisher Jim Lottsfeldt is involved with. The survey found broad support for the initiative, but we’ll have more takeaways from the survey in the coming days. While the poll found broad unpopularity for the Legislature as an institution, voters were much more likely to support their own legislator. Respondents were roughly split on support for their own legislator with 46 percent saying they approved of the job their state legislator is doing while 47 percent said they disapproved. The Legislature is particularly unpopular with self-identified Democrats and independents, both of which only had a 21 percent approval rating of the Alaska Legislature. 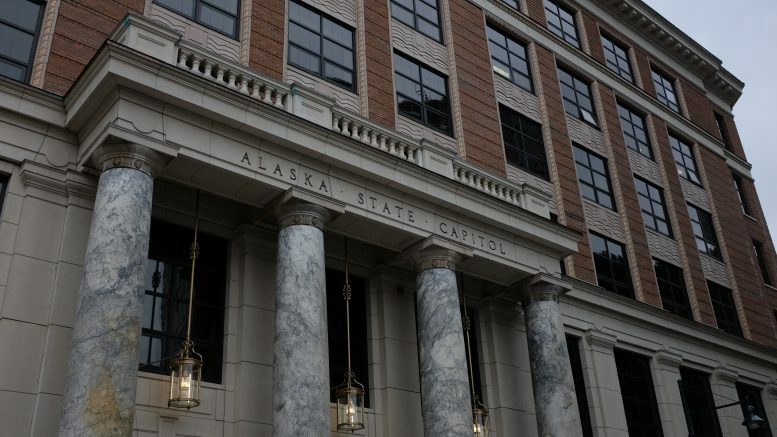 Self-identified Republicans are slightly happier with the Alaska Legislature with 32 percent saying they approved the job the Legislature is doing. As far as locations go, Fairbanks and rural Alaska (which are grouped together in this report) had a 35 percent approval rating of the Legislature. The rest of the state sat around 21 or 22 percent approval rating. Independent voters were the least likely to support their state legislator. Just 36 percent of self-identified independents said they approved of their legislator while Republicans (49 percent) and Democrats (50 percent) were pretty evenly split. Juneau, Kenai and Kodiak (which are grouped together) are generally far more supportive of their individual legislator with a 58 percent approval rating compared to 44 percent for the Anchorage and Mat-Su region and 38 percent for the Fairbanks and rural Alaska region. Be the first to comment on "Only one in four voters think the Alaska Legislature is doing a good job, according to poll"